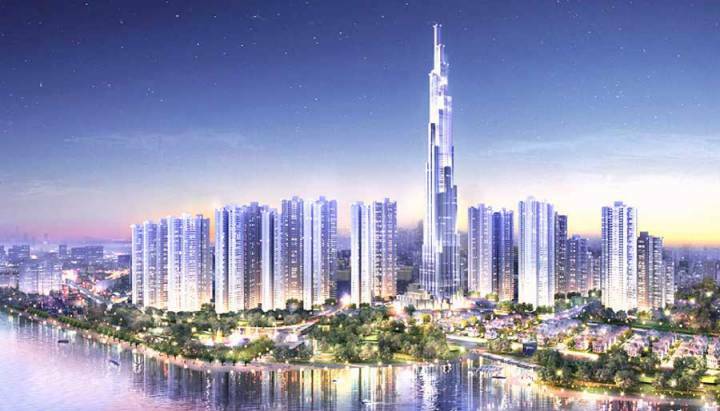 Vinhomes Central Park Apartment occupying an extremely prime location in the center of Tan Cang, with a frontage running over one kilometer of Saigon River, especially adjacent to Tan Cang Metro Station No. 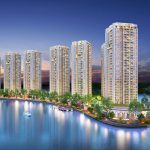 5 and only 50 meters from Ben Thanh – Suoi Tien Metro Line. Vinhomes Central Park luxury apartment is the destination of many domestic and foreign investors because of high future potential of 10-15% per year. 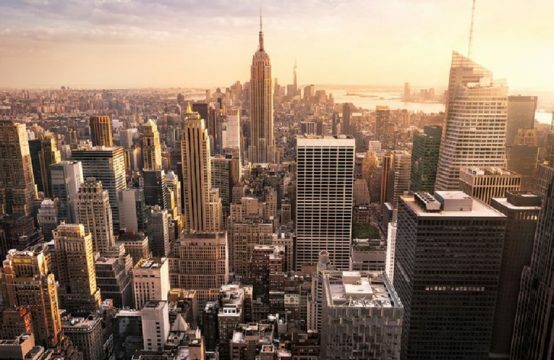 In particular, the Vinhomes Central Park apartment project has a high regional connectivity when approaching neighboring districts with all three types of traffic, with few projects available. 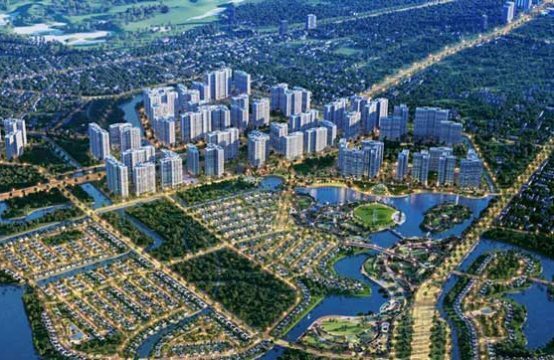 Second, Vinhomes Central Park apartment is adjacent to the Ben Thanh – Suoi Tien metro line, this is the leverage value of the project increased from 10-20%. When infrastructure and metro traffic are completed, it will contribute to changing the look of the surrounding area in a positive way, not only pulling up the price of land, but the price of real estate projects will also explode. In addition, the Ben Thanh-Suoi Tien metro line directly connects the central area to the high-tech zone of District 9, which attracts many specialists and engineers to work. So, rental demand will be high in the near future. 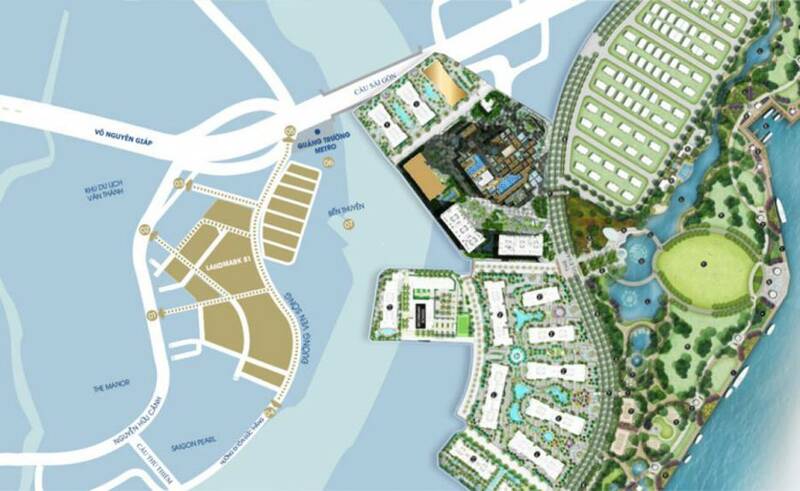 Thirdly, Vinhomes Central Park connects traffic with three routes: roads, waterways and railways. 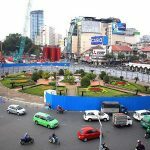 In addition, the owner of Vingroup has upgraded the entire Nguyen Huu Canh Street to ensure no waterlogging in the rainy season, expected to be completed by 2018. In addition, located in the Vinhomes Central Park complex, there is also a Vincom Center luxury shopping mall covering an area of ​​40,000 square meters, including a variety of shopping options, amusement parks, Movie theaters, food courts, supermarkets. The East is Saigon River, overlooking District 2, Diamond Island, Phu My Bridge, looking straight to Cantavil, Vista. The West is Nguyen Huu Canh, view of The Mannor, Van Thanh tourist area, Bitexco building. The South is also towards the Saigon River (East – South), adjacent to Saigon Pearl, view over Thu Thiem Bridge, Nha Rong Ben Bridge. 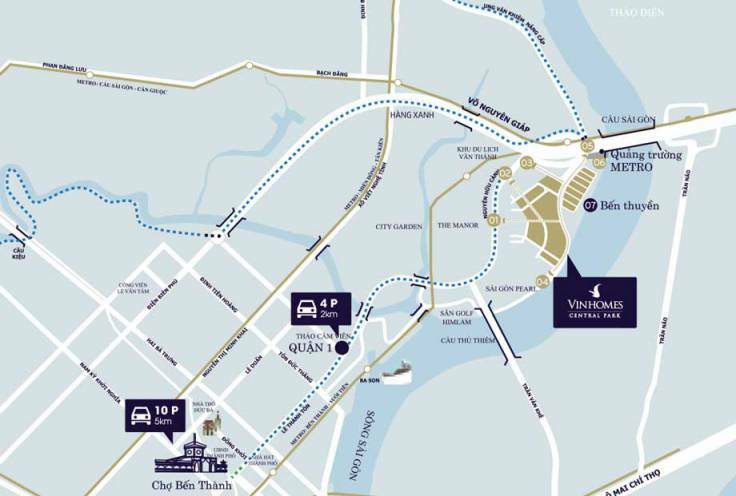 The north is Sai Gon bridge, Thao Dien Pearl, Hoang Anh Gia Lai Riverview. 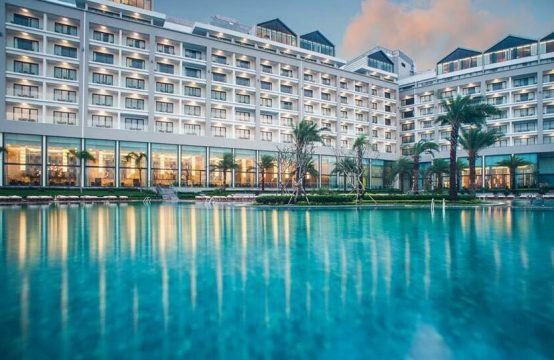 Vinhomes Central Park is a high-class apartment for sale in Binh Thanh District which owns the prime gold location, which has value over time. 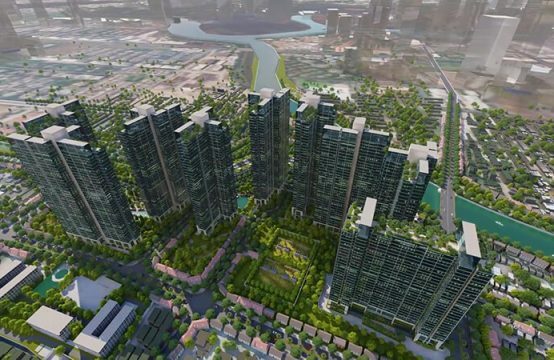 It can be said Vinhomes Central Park apartment worth buying and investing in the future. Why Do The Rich Care About Vinhomes Central Park Luxury Apartment? 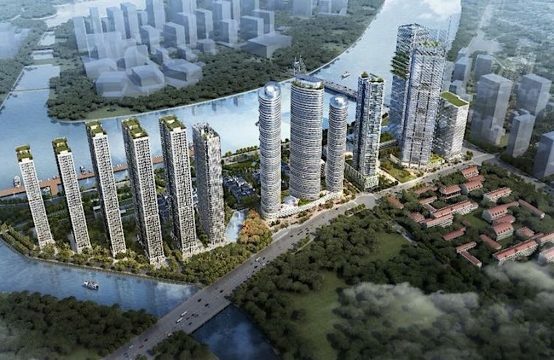 Welcoming Infrastructure, Saigon Gateway Attractive Investors?